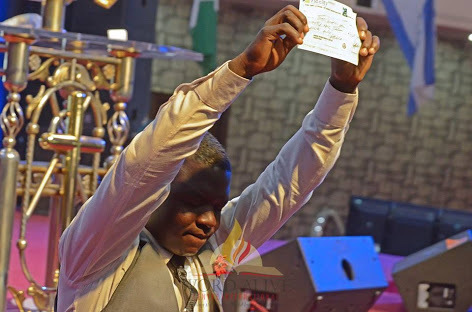 A homeless man identified as Godsave was shocked by church members after he was made a millionaire within minutes during a service at Word Alive Centre International in Abuja on Sunday. His life changed after the pastor of the church heard about the man who "sleeps on the meat sellers table in the market every night and bathes in public toilet". 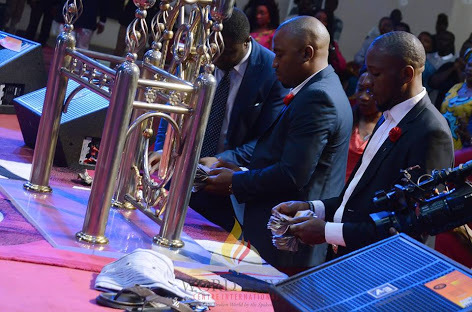 It was gathered that the man is always early to Church and he dances during all services like he has no worries, hence the pastor decided to change his situation by helping him. He encouraged members to donate towards getting an accommodation for the man. 3. Money (N1m) raised for him to start a business of his choice. This was made possible through the members of the church. Blessings!